Communication is critical on the water. The fixed-mount VHF 110 radio is designed to complement the latest GPSMAP® chartplotters and MFDs. Easy to install and use, just plug and play via the NMEA 2000® network to compatible Garmin chartplotters and MFDs. Provides standard Class D Digital Selective Calling (DSC) functionality (distress calling and direct calling with user programmed Maritime Mobile Service Identity (MMSI). 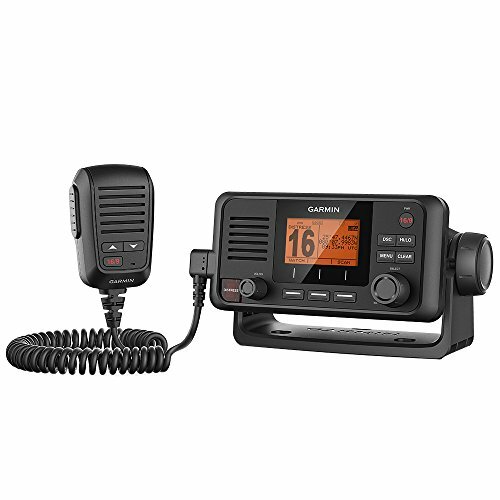 With 25W transmit power, the VHF 110 gives fishermen, sailors and cruisers confidence at their fingertips in an emergency situation. Pre-programmed with US, Canadian, and international marine channels, plus 10 NOAA weather channels. Programming can be changed by a dealer (using special dealer programming cable).